Photo Caption: @obeyjef is so Asian! 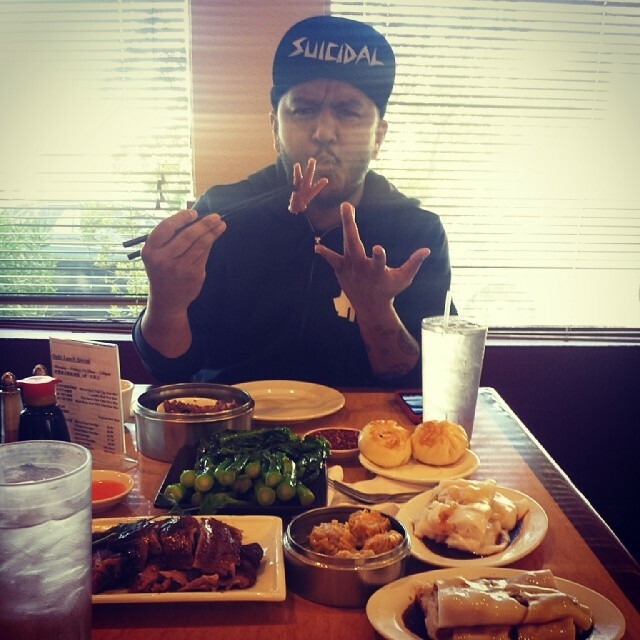 We’re at dim sum &he’s eating chicken feet! Previous: Great job @venezuelanvixen !